In March of 2015, San Jose First United Methodist Church sent four members on a mission trip to the town of El Maguey in the state of Jalisco in Mexico. El Maguey is a little town that was created 13 years ago when a nearby city of Atotonilco el Alto attempted to move its residents with economic struggles away from the city. Today, an average family in El Maguey makes $300 per month, while an average family income in Mexico is $600 per month. Gerardo Vazquez, the minister of Spanish language ministry at SJFUMC, has a house in El Maguey. Eight years ago Gerardo started a church in the garage of his house. He named the church Christo Vive, emphasizing the fact that Christ lives. The church has grown over the years, and now it sponsors various service programs and holds three services a week. 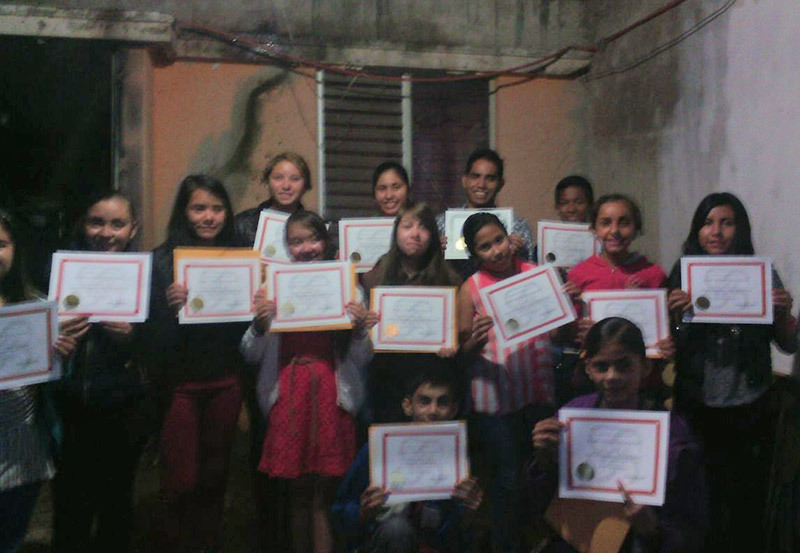 The purpose of the mission trip in 2015 was to strengthen Christo Vive’s worship services, and also to start an ESL program that allows San Jose First to continue to teach English via Skype to children in El Maguey. It is a known fact that those with English proficiency in El Maguey and its surrounding cities are able to receive higher paying jobs. As a result of the team’s visit, two remarkable changes have emerged: Christo Vive’s worship experience has been completely revamped; and since the start of the ESL program, several children in El Maguey have greatly improved their ability to speak and understand English. In June of 2017, we returned to Mexico and visited Christo Vive to help them create the first library in El Maguey. San Jose First UMC was the recipient of the collection of library books from Grant Elementary School when they updated their library. 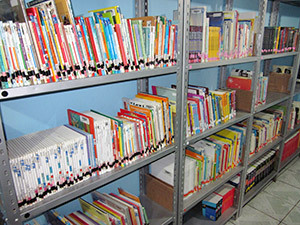 The books were organized and labeled by language (English or Spanish), subject, and reading level. We shipped the books to El Maguey, and in July, a group of volunteers from our church went to El Maguey to set up the library – the first one in the town. The library is open to everyone in El Maguey. Setting up the initial ESL program in El Maguey was an interesting and challenging experience! SJFUMC purchased supplies for the children and technological equipment for Antonio, the college student who accepted the immense responsibility of conducting the classes after we left Mexico. Although the number of students has diminished since March 2015, those who remain are making steady progress in spite of the many difficulties we’ve had to overcome. El Maguey is a small town and the government-issued homes have very thin walls and roofs. Often weather, neighborhood noise, and technical problems interfere with our biweekly classes. However, the resiliency of the participants constantly amazes and inspires me. With their example and Gerardo’s constant attention to my needs, I’ve learned to be patient and flexible during the interruptions to our Skype sessions. We have exciting plans for the future! These include finding ways to provide Antonio with equipment that can improve communication during class sessions. We’re also arranging with an ESL teacher in a Campbell school to set up a pen-pal program with Mexican-American children. And once books are available in the El Maguey library, we’ll incorporate their use into our classes. 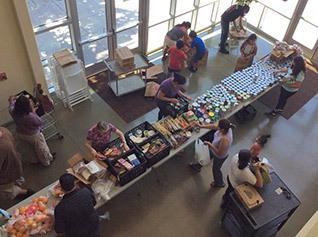 Volunteers are always needed for one-time events or on-going programs. If you can help someone with homework, develop job skills, make household repairs, prepare meals, partner with seniors or minister to those in extended care facilities, or lead a discussion group, we have an opportunity for you. Our volunteer ministry is all about allowing people to serve Christ through sharing their special gifts with others. If you are interested in volunteering in any capacity, please contact the church office. 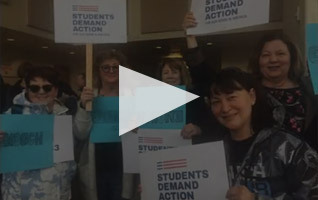 Training, information, and a team to work with are available.